With its bustling streets and growing population, Vientiane may be slowly moving away from its “sleepy” moniker. But right in the centre of town, there’s one place that will always provide a serene escape from the busy city. 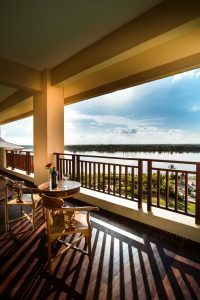 With its soaring riverfront façade and top-notch views, the Landmark Mekong Riverside Hotel is the best place to enjoy a quiet moment away, whether as a foreign guest or visiting local. 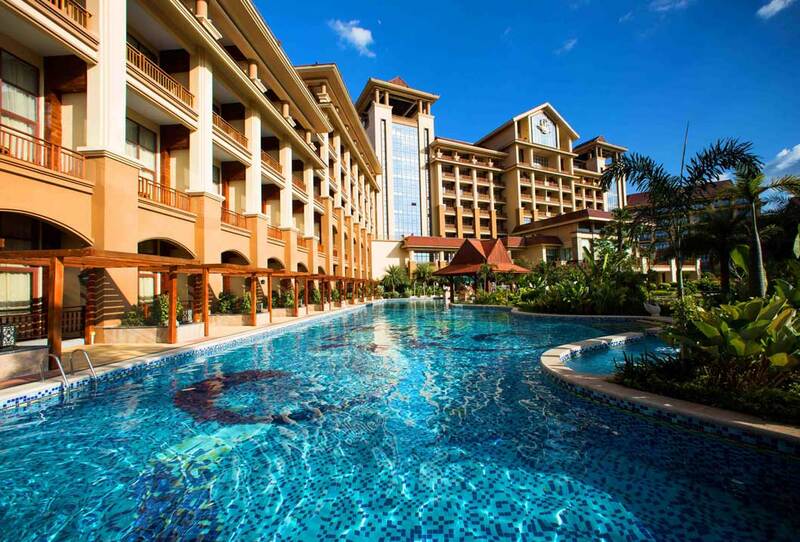 The grand lobby, so impressive from the outside, is instantly welcoming as we arrive for our weekend stay. 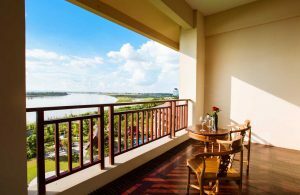 Our room, an Executive Mekong Suite, comprises a living and dining area, complete with a desk by the window, spacious bathroom and oversized balcony connecting the living and sleeping areas. The décor is a subtle mix of traditional timber furnishings and modern amenities, with all the luxuries you’d expect from a five-star hotel, right down to the fluffy towels and overflowing fruit bowl.It’s so hushed and relaxing, in fact, that it’s almost impossible to believe the amount of work that goes on behind closed doors to accommodate the many foreign dignitaries who choose Landmark as their base while visiting the capital. 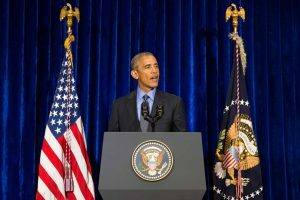 Of course, Landmark will always be best known for hosting the former United States President during his 2016 state visit. According to Sales and Marketing Director Hyeyoung So, staff spent several months in the lead-up to Obama’s visit meeting the very specific security requirements for the most powerful man in the world. “Most of the preparations had to be carried out very quietly, due to the high security,” she says. Since then, the roll-call of VIP guests has gone on and on, from the Crown Prince of Cambodia, a Thai Princess, the Queen of Belgium, the presidents of Singapore and Vietnam, the Prime Minister of Korea and, most recently in late 2017, the Chinese President Xi Jinping. 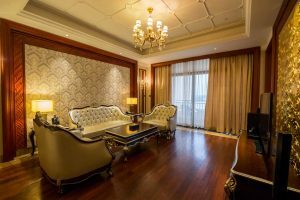 Ms Hyeyoung says it is this reputation for excellence when it comes to high-class guests that sets Landmark apart from an increasingly crowded hotel market. “I always define Landmark as unique and unrepeatable, with a distinct blend of modern and classic style,” she says. 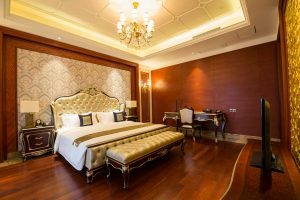 Despite being in grand company as the many illustrious guests who have come before us, we are made to feel every bit as important as we settle into our beautifully appointed suite. Outside, the early January weather is unusually grey and inclement, but it doesn’t matter when there is an entire hotel to explore. 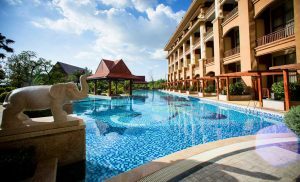 From the popular pool – complete with cocktail bar – to the fully appointed gym and several eateries, there is almost no need for any guest to ever leave. But, after a hearty international buffet breakfast in the Brasserie the next morning, it’s time for us to step out the enormous front doors, and wind our way back down to the riverfront, and return to real life.